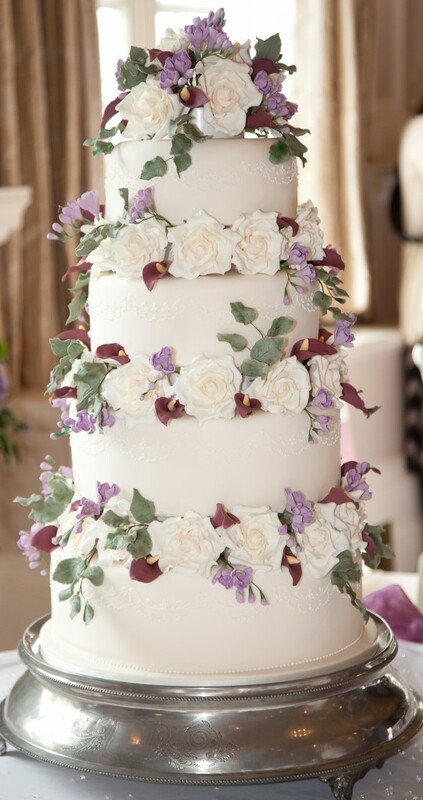 Four tier wedding cake at The Grand Hotel, Eastbourne, East Sussex. 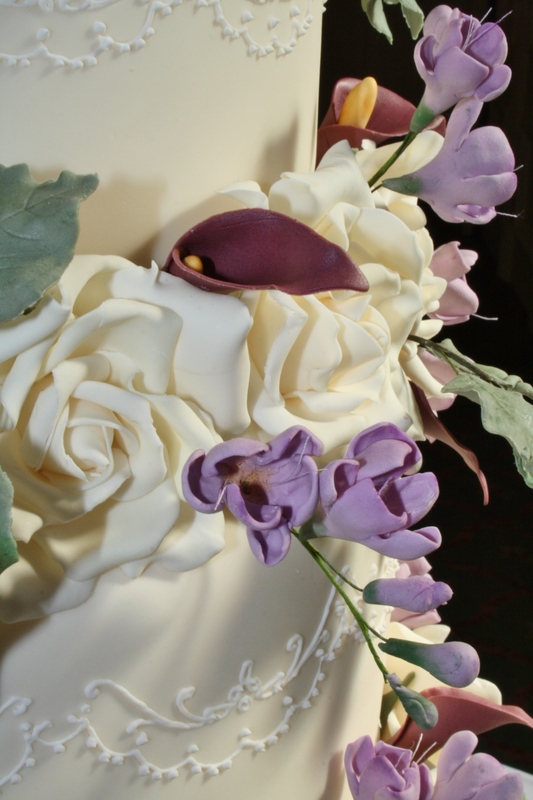 With Sugar full bloom, Roses, Calla Lilies, Freesias and Foliage. Featuring hand piped lace design. Base tier vanilla with Raspberry Conserve and Chambord whipped buttercream filling, second tier Belgian Couverture Chocolate with whipped ganache filling, three base tiers all covered in white ganache then iced, third tier fresh lemon with lemoncurd whipped buttercream and top tier of moist rich fruit cake, marzipanned. Cake serves 200 finger portions.